We’re getting in the time machine today! Anyone who came to our first Detail Fest may remember our small 2,000 sq. ft. space in an office complex. In looking through these pictures, I found a fun fact. The first Detail Fest was in December of 2005. There wasn’t one in 2006 because Max decided it should be held in Spring. The next one was in Spring of 2007 and they have been ever since. You can see the Autogeek sign over the door. We also had the space to the right, but that was it! 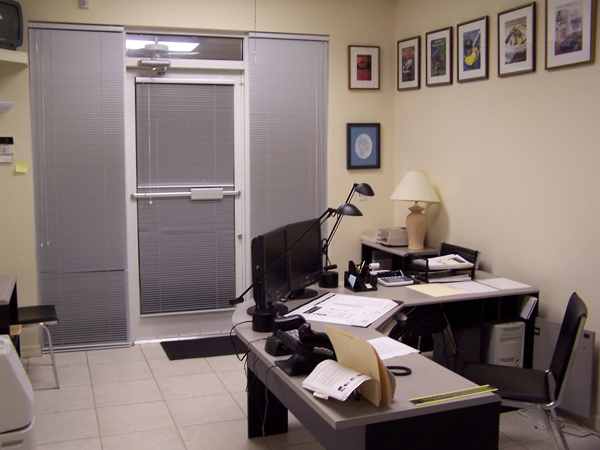 These next photos are different views of the same office. Believe it or not, shortly after this photo was taken, a second desk was added to this room! 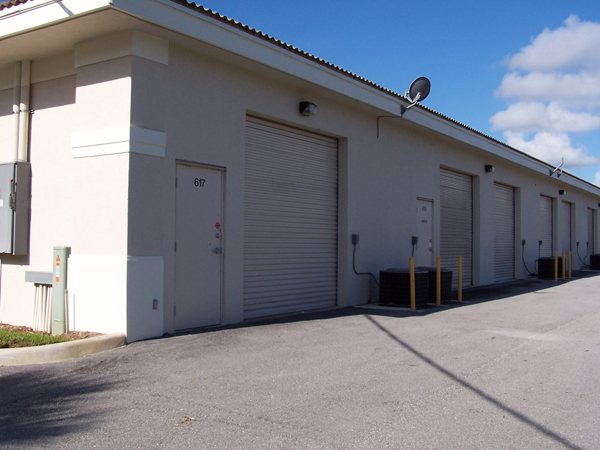 This was the warehouse – only about 1000 sq. ft., and we made use of every inch. 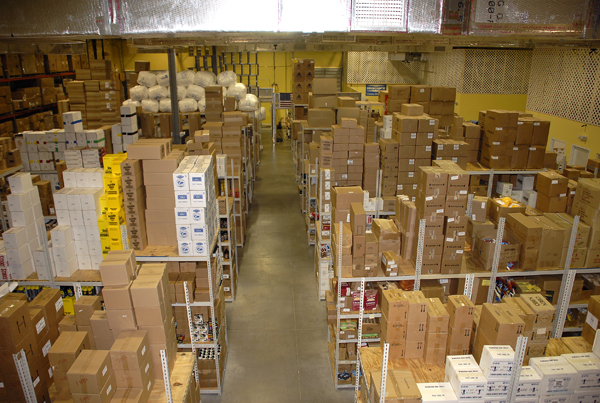 For comparison, this is our current warehouse…. Here is the back of our 2005 home. The first two garage doors were ours. This is Autogeek’s current home. Autogeek.net has grown a lot in the last six years. Many of our customers have been with us every step of the way (and we have the pictures to prove it!). We as a company are very fortunate to have customers who appreciate what we do and who tell us how we can do it better. It’s that relationship that helps Autogeek continue to improve and grow. Thank you! It’s that time of year again! Autogeek’s 6th Annual Detail Fest is coming up on March 26-27, 2011. We like to celebrate the arrival of Spring in our own unique way here at Autogeek: by hosting a detailing expo and car show! Every year since 2006 we’ve hosted a gathering of leading manufacturers, enthusiasts and, of course, their cars for a day of education, detailing, and fun. Detail Fest 2011 is being held on March 26-27 at our Stuart, Florida headquarters. 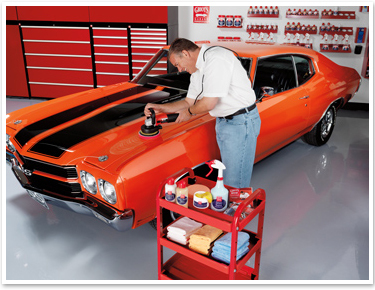 There’s no better way to get your vehicle ready for Spring than to learn from the pros and from fellow hobbyists about the latest techniques and products. Meet your favorite manufacturers and see their products in action. Detail Fest is also a great opportunity to meet fellow forum members face to face and see their handiwork up close. Detail Fest is open to anyone wanting to walk around and check out the products and demos. For a small registration fee, you can enter your car into our Detail Fest Car Show! Detail Fest is 9 am -4 pm on Saturday and Sunday. Autogeek.net is now sponsoring Bruno Massel Racing! Bruno, co-host of TruckU on SPEED TV, will be at Detail Fest with his race car (prototype shown at right). Come check it out! Matt Steele, co-host of TruckU and Trucks Gone Wild, will have monster trucks on display! Fox Sports TV will be filming Detail Fest to make a TV show. World famous Craig Burnett, better known as “Mr. Chemist” in the Mother’s television commercials, will be attending Detail Fest. 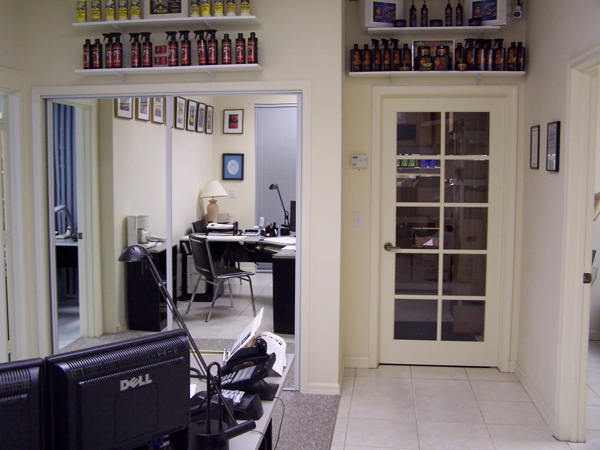 Craig brings a lifetime of experience in formulating appearance products and humor that only someone surrounded by chemicals for prolonged periods can truly understand and appreciate. The special Max Edition Flex PE14-2-150 polisher serial number 001 will be on display. UPS (our #1 carrier) will display their delivery truck, the NASCAR Flame Package UPS Truck, and the NASCAR UPS #6 racecar! Meet the manufacturers and learn about their products firsthand. Mothers is bringing their big rig again and the 3M Demo Van will be here, too! Steven Spengler, the VP of Sales at Aztec Products, is bringing an Aztec Hot Rod Extractor valued at $649.99 to auction off to one lucky winner! Blown Away Salon will be giving $10 haircuts and 100% of the proceeds will go to charity. 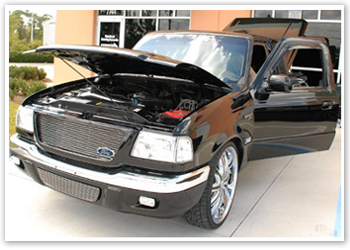 Get a clean new ‘do to go with your flawless vehicle! The Critters – one of the great bands of the 1960s – will be playing their hits plus all your classic favorites live at Detail Fest! Fill up on great food by CK Cafe and Bakery. 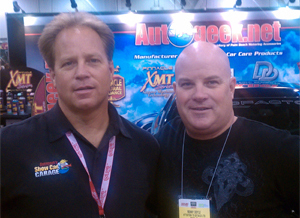 Our own Mike Phillips, host of Autogeek’s Show Car Garage segments and Autogeek’s What’s in the Garage? TV show, will be here sharing his car care wisdom. Renny Doyle (shown here with Mike Phillips) is the founder of Detailing Success.com and Attention To Details, Ltd, based at Big Bear Lake, California. 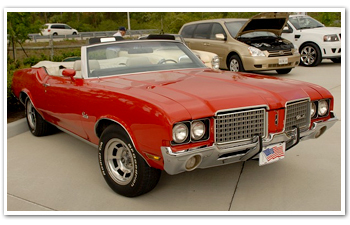 Renny is a 28-year veteran of the auto and aviation appearance industries. Renny’s reputation and abilities have drawn the attention of auto and aircraft museums and private collectors alike. Read more about Renny. 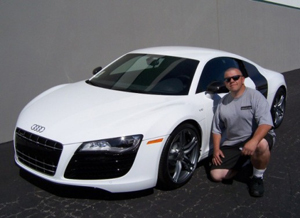 Jose “Joe” Fernandez is the president and founder of Superior Shine Mobile Auto Detailing in Los Angeles, California. His clients’ vehicles consist of everything from classic, collectible, and exotic cars to RVs, not to mention thousands of daily drivers. Recently Joe was a team leader of the crew that detailed SAM970, America’s first Air Force One. Read more about Joe. Operation Comfort is a support organization for wounded veterans. Mike and Max had the pleasure of meeting the guys participating in Operation Comfort’s Automotivation program last fall while filming for the SPEED channel. We’re excited to bring in three individuals from Operation Comfort to join us for Detail Fest weekend! The Leukemia & Lymphoma Society is the world’s largest voluntary health organization dedicated to funding blood cancer research, education, and patient services. All the vendors that will be present at Detail Fest have made donations to these two great organizations! We’ll be raising money at Detail Fest. Thank you to our vendors and to everyone who has contributed to Operation Comfort and LLS. We look forward to seeing you at Detail Fest! Join us on March 26-27 in beautiful Stuart, Florida for Autogeek’s 6th Annual Detail Fest & Car Show! The Detail Fest Car Show will be held on Saturday, March 26. Registration is $25 per vehicle. Just Announced! The 1st Annual Detail Fest TRUCK Show will be on Sunday, March 27! The Truck Show is open to all trucks. Registration is $25. Available prizes include: Metro Master Blaster Flex XC3401 Polisher Grit Guard Universal Pad Washer Wolfgang Füzion Carnauba Estate Wax and more raffle prizes to be announced! Car Show trophys will be given to 1st, 2nd, and 3rd place winners in 5 different categories (total of 15 trophies)! Four trophies will be given in the Truck Show. If you are not entering a vehicle, there is no need to register! Detail Fest is free to attend as a spectator. All registered participants must have a car to show. Extra T-shirts will be available for purchase. Hotel: We have reserved a block of rooms for special rate at a new Courtyard by Marriott less then a mile from us. Please call 1-800-869-3011 ext. 207 or email us for room rate discount information. We will announce more information on events and travel as it becomes available in our newsletter and on AutogeekOnline.net. If you’re not already a newsletter subscriber, sign up here . Wear a part of Detail Fest history with the official Autogeek 5th Annual Detail Fest T-shirt. The shirts were a big hit at Detail?Fest with their Florida-inspired tropical design. Now you can get another shirt for yourself or for anyone who couldn’t attend. The Autogeek’s 5th Annual Detail Fest T-Shirt is made of heavy grade, 100% preshrunk cotton in light gray. This year’s Detail Fest logo is screen printed on the back with the small logo featuring Ivan on the front breast. Wear your Autogeek’s 5th Annual Detail Fest T-Shirt to detail, to relax, or wear it when you come to next year’s Detail Fest! A limited number of medium, large, and extra large shirts are still available. Get your shirt here. What a weekend! Detail Fest 2010 was definitely the biggest and best yet. Hundreds of people came out to meet the manufacturers, view the demos, try out products, and see all the fantastic vehicles on display. And there were some beauties. We’re always impressed by the fine detail work we see at Detail Fest.? This year was no exception. The lots were lined with all makes and models, polished to perfection. Everything from classics to brand new cars were here, with a couple of big rigs in the mix from Mothers and Meguiars. Inside the building, Rich Evans’? H2O Knight Mustang, a custom bike, and three race cars were on display. For anyone looking for an opportunity to learn more about detailing, Detail Fest was the place to be. ?All of our manufacturers demonstrated their products and showed guests how to get the best results. Guests had a chance to try out products for free on Sunday. Plus, Mike Phillips held two machine detailing classes on Saturday in the new Autogeek Show Car Garage. Several people took home their own polishers and products with our hourly raffles. We want to thank everyone involved in Detail Fest for coming out. You made it an excellent weekend. Now it’s time to start planning for next year! – Final touches are being put on the Autogeek Show Car Garage for the official unveiling at Detail Fest. – Our last minute supply list is looking like this: name tags, name tag holders, lots of poster board, Sharpie markers, raffle tickets. There will be many more trips like this to the office store before the weekend! – Making signs. Lots of signs. – Drawing up a schedule and putting together a program for Detail Fest. – Rounding up giveaway items for the raffle. – Planning where all the vendors’ booths will be and where everyone will park. With Meguiars and Mothers bringing their big rigs and a full car show roster, we’re taking over the entire parking lot! – Receiving vendor’s samples and/or equipment and booth displays. 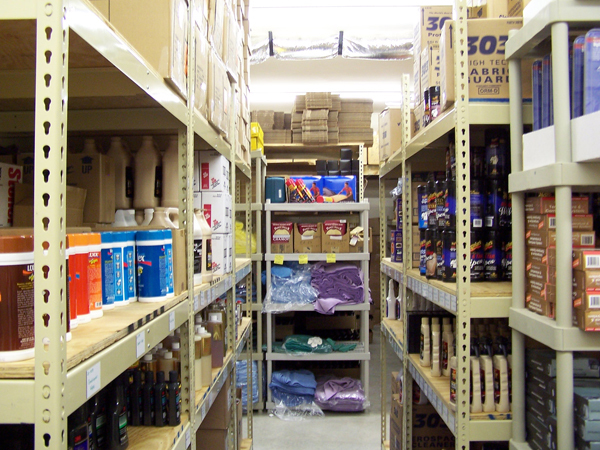 Many of our manufacturers are coming in from around the country so their stuff is being shipped ahead of time. – Finalizing the food with the Sandy Hook Deli. Sandy Hook is our local sandwich shop and they’ve been at the last two Detail Fests. We’re glad to have them back again. – On top of that, the day-to-day operations must go on! On behalf of the entire Autogeek staff, we’re looking forward to seeing you this weekend at another fantastic Detail Fest!